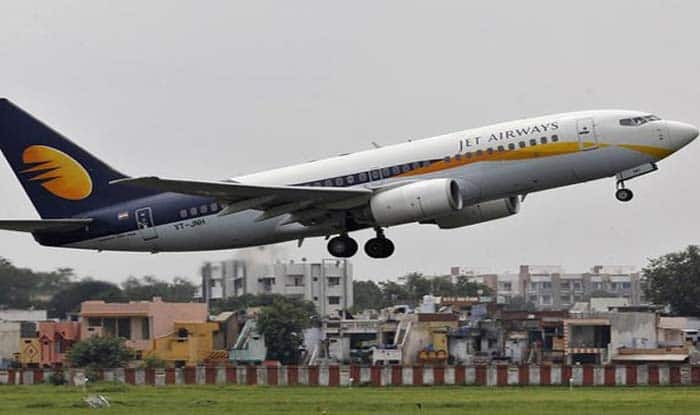 The pilots union has asked Jet Airways to pay the salaries outstanding for the months of January, February and March by April 14. National Aviators Guild has sent a legal notice to Jet Airways CEO Vinay Dube, asking Jet Airways to pay the salaries outstanding for the months of January, February and March by April 14, reported ANI. Reports said the notice highlighted that the pilots were facing “extreme stress, anxiety and frustration”. The union had earlier threatened to go on a strike from April 1 but had deferred it to April 15 after the December salary dues were settled. Last week, the airline had deferred March salary for all its employees. The company owes banks over Rs 8,000 crore and its fleet stands depleted to 26 of total 119 aircraft. “This situation is leading to extreme stress, anxiety and frustration amongst my client’s member pilots – hardly an ideal situation for pilots in the cockpit. Monthly EMIs have to be met, school & college fees paid, along with medical bills of ageing parents etc. etc..,” the notice from the union’s lawyer said. The notice reminded Dube that the union had earlier written to him on April 2, but has not received a reply yet. “In these circumstances, my client calls upon the management of Jet Airlines to pay the salaries outstanding for the months of January, February & March 2019 by 14th April 2019 (and future monthly salaries by the 1st of each proceeding month), failing which my client shall be constrained, instructed to inform you, to resort to all constitutional and legal methods available to it to ensure payment of the salaries to its members,” a portal quoted the legal notice as saying.